DABBLE Arts & Crafts | Inspiring creativity one DABBLE at a time! 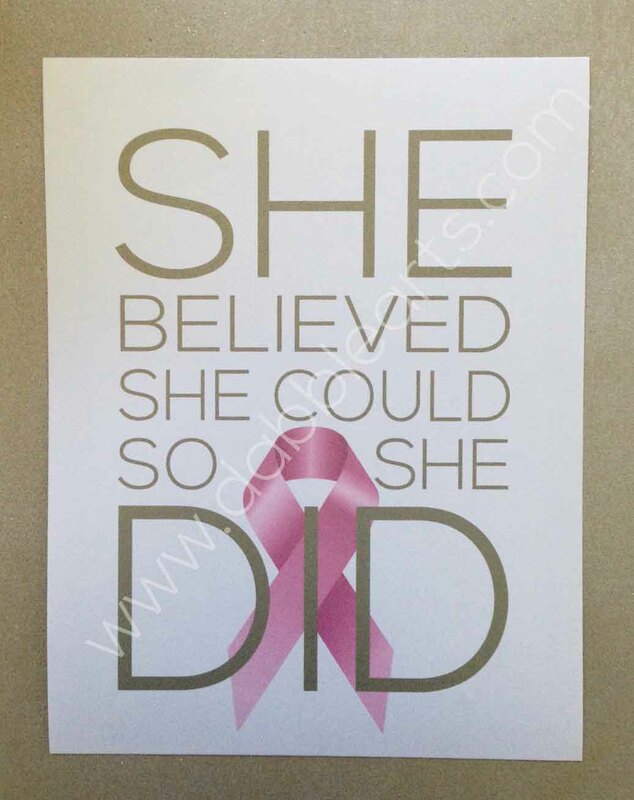 “She Believed She Could So She Did” – is by far one of my favorite quotes. With October being Breast Cancer Awareness Month, I was inspired to create this typography print. I designed it in honor of a special women in my life who is currently battling breast cancer and I decided to share this on the blog in hopes that other women might benefit from this empowering message as well. 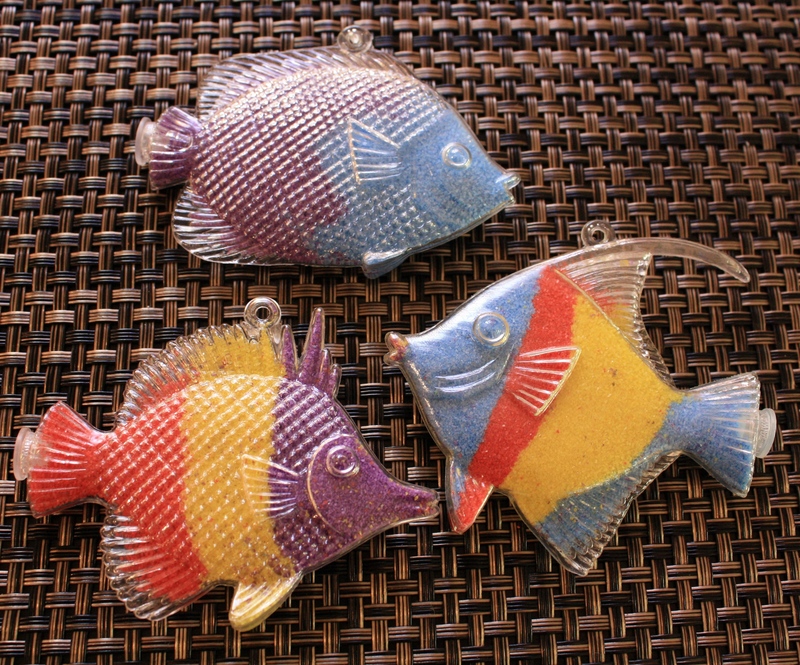 My 2yr old and I had fun creating these colorful fish this weekend. Here’s how you can do it to! 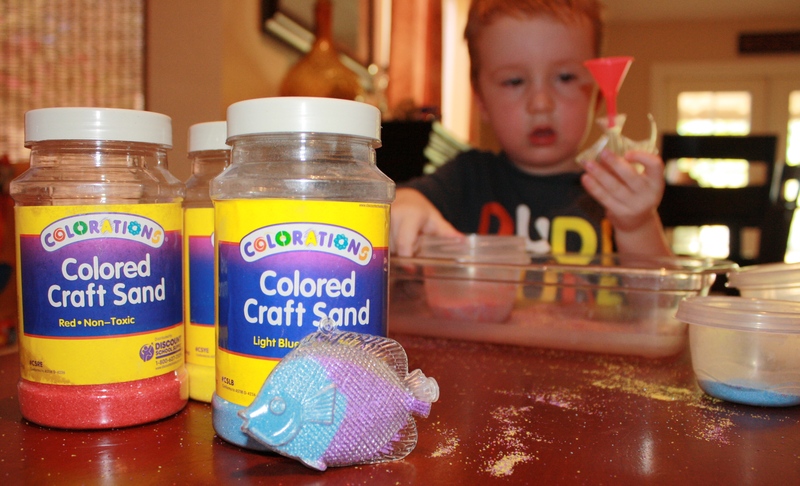 Pour small amounts of colored sand into several toddler friendly containers. I used small plastic snack bowls. We had one red, one blue, one yellow and one purple. Allow your child to insert the funnel into the plastic fish and dump the sand into the funnel. A little goes a long way, so as long as there is only a little bit of sand in each container, you’ll be able to create more colorfully layered fish. Tip: We made several fish pretty quickly, but my son still wanted to play, so I just let him dump a fish out and play with the leftover sand. Of course the colors got all mixed up, but he didn’t care and he was entertained for a while, so it was a win for both of us! Ok, I’ll admit it, I love me some Pinterest, BUT I see so many great ideas that I am constantly just pinning and have yet to get around to actually DOING most of the things I have tagged that I love. So what about actually doing? Have we gotten so wrapped up in our electronic lives that we all of our time searching for the perfect craft.. the perfect decor item… the perfect organization idea, but less time actually DOING? I hope not… I just created this to remind me. 🙂 I am all for inspiration and I think Pinterest is great, but let’s not forget to DO! 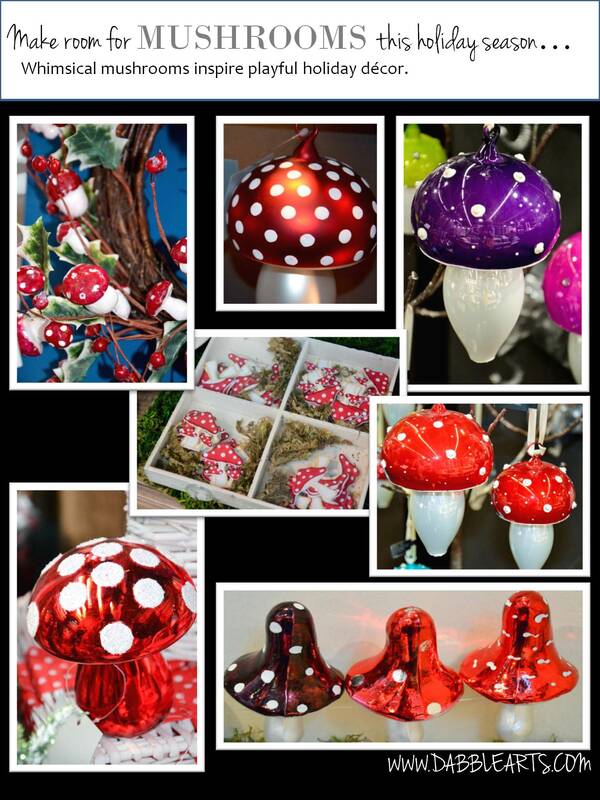 Who knew mushrooms would make thier way into Holiday decor this season? Whimsical, colorful mushrooms add playful touches to holiday decor. 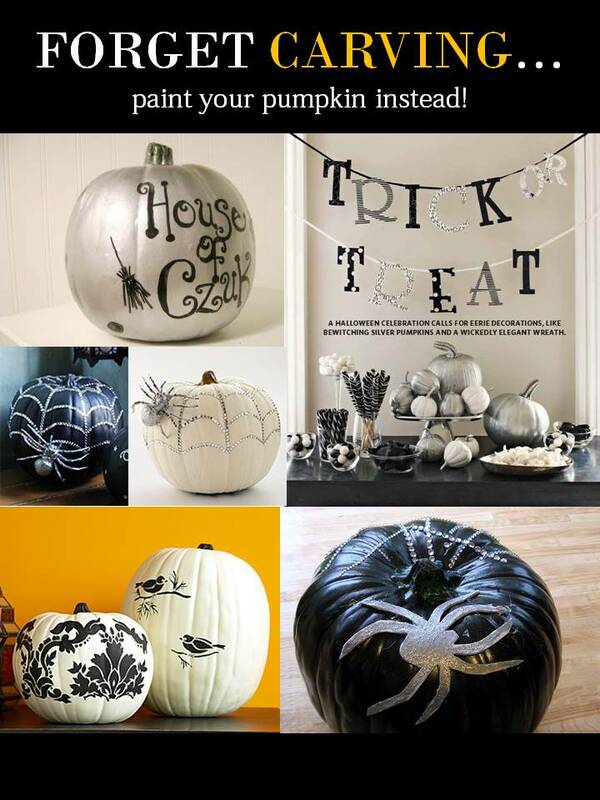 Forget carving this Halloween, why not paint your pumpkins. I created this inspiration board to help you get started! I had these Ivory Chimneys from Gold Canyon and I wanted to add a little splash of color to them to fit my decor in my living room. 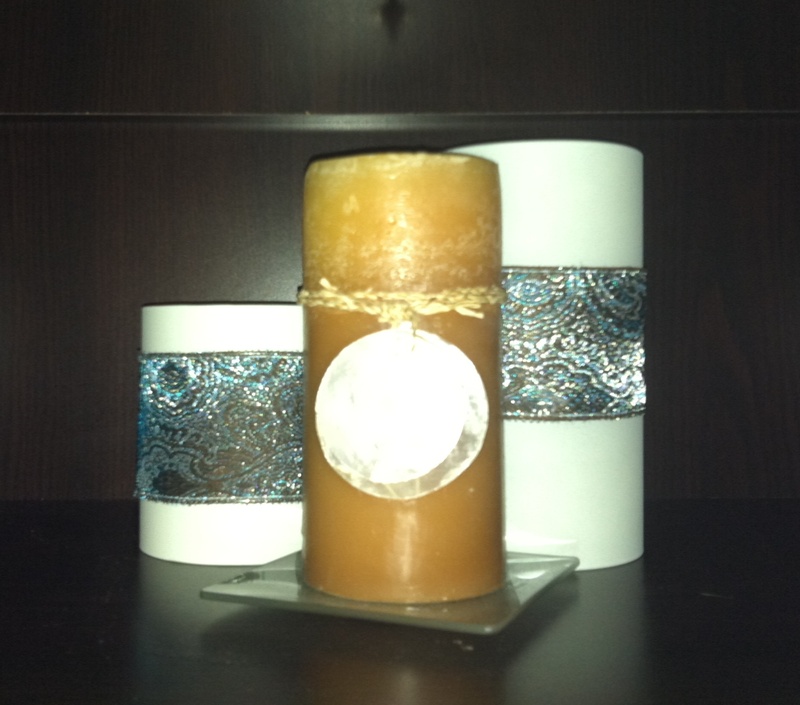 I decided to do a quick and easy candle wrap. Here’s how you can do it too! Cut the ribbon to fit the diameter of the candle holder. 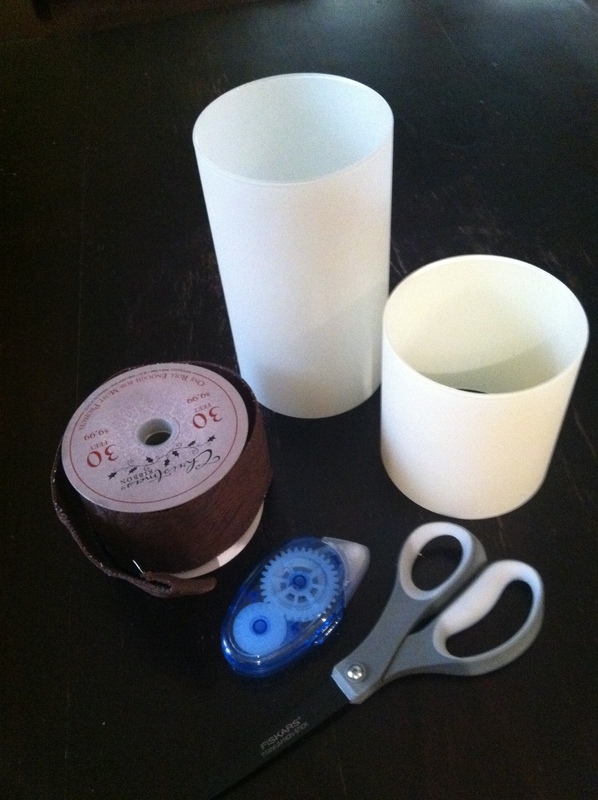 Attach it to the holder by placing a small amount of double sided tape on each ribbon end and secure them together. It’s important that you don’t use the double sided tape on the Chimneys themselves because it could peel the paint up. That’s it! You have a splash of color in your candle arrangement. Since the ribbon is not attached to actual chimney, they are also easy to remove so you can still burn tealights inside.